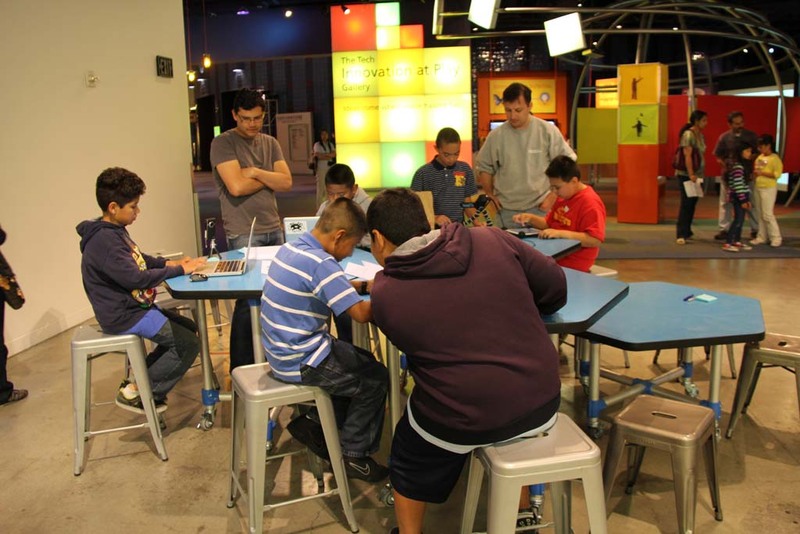 The sleek-geek team went to San Jose’s The Tech Museum for their regular “Beta jam” session last Thursday to put Core Math Jam 6 in front of testers young and old. The responses exceeded our expectations. Students, teachers and parents on field trips walked up to our app in the middle of testing season and engaged with standards-based math questions on several devices set up in the innovation space on the lower level of the museum. Who knew that kids after months and months of test prep and intense hours-long testing would have the patience to pick up a math game full of standards-based math practice? 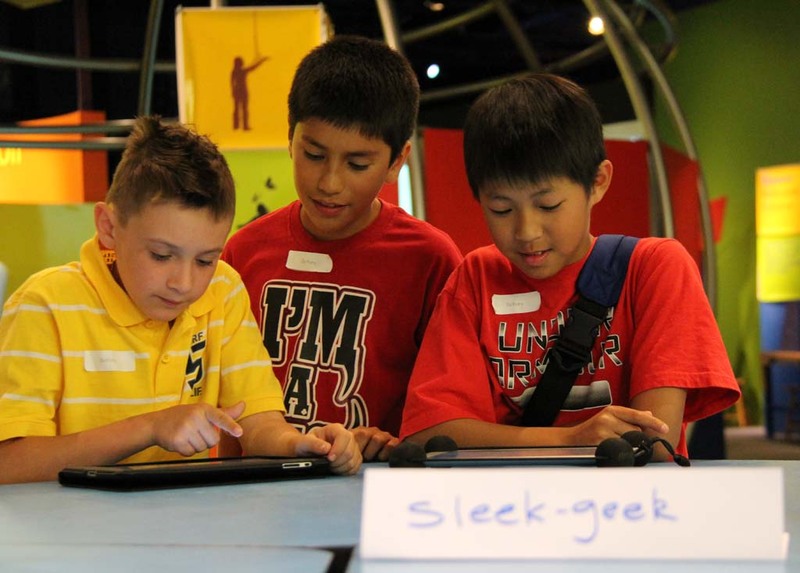 Although this version of Core Math Jam is aligned to 6th grade standards, students from all ages, from 3rd to high school spent time with our app, engaged with surprising eyeball time in the middle of one of the world’s top science museums. One chaperone father, eager to see the rest of the museum, tried to pry his 5th grader away from CMJ and was totally ignored as his child worked through Numbers System questions one year above with amazing persistence. 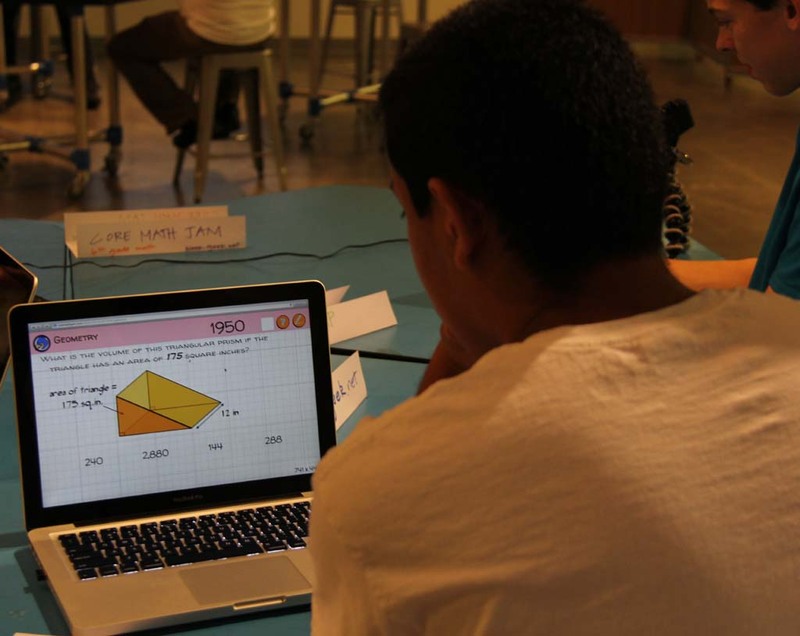 As a teacher and developer, I’ve put Core Math in front of students during its various stages of development and always assumed they liked to play it because of the novelty of their teacher making an app. Last Thursday we found that most kids enjoyed it and gave it the unspoken thumbs up as measured by engagement time. 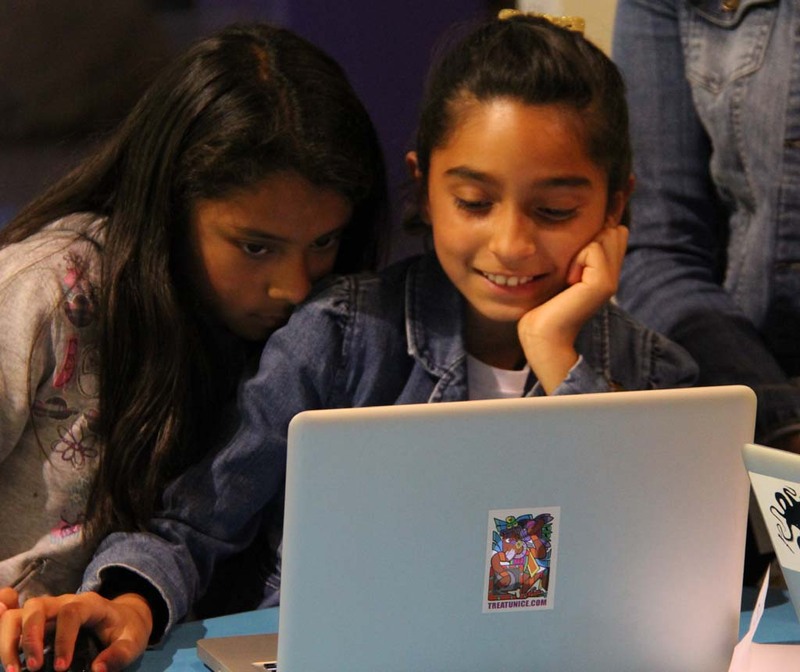 Two students from a Bay Area STEAM high school took pride in battling it out for top score. They crashed the app when they got to the end of the game, and were promised a free download when the app hits the app store. And all bugs and question mistakes thereafter were met with a download. Thankfully, we only had to hand out a half-dozen in two hours, and are all easy fixes! 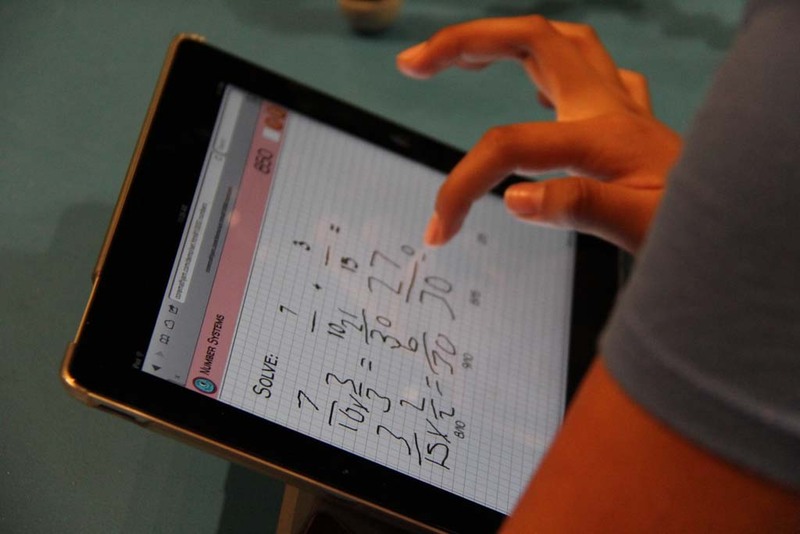 The Tech Museum staff also enjoyed playing Core Math Jam and sharing valuable feedback with us. They particularly liked how the app was set up on several iPads, laptops, phone and as a native Android app. This allowed many more kids to interact with our app than if we had just developed it for the iPad. Still, several times during the two hour event, all seven devices were being played with more looking over shoulders waiting for their turn. Part of the strategy also involved trying different user interactions between platforms, and gathering feedback on how students behaved when presented with different types of feedback. Do we let them know they got it wrong and advance to the next questions? Or let them choose any answer until they choose the right one. Different types of feedback produced a different type of experience overall, and the feedback will definitely shape the release version Core Math Jam 6, and all subsequent grade versions.